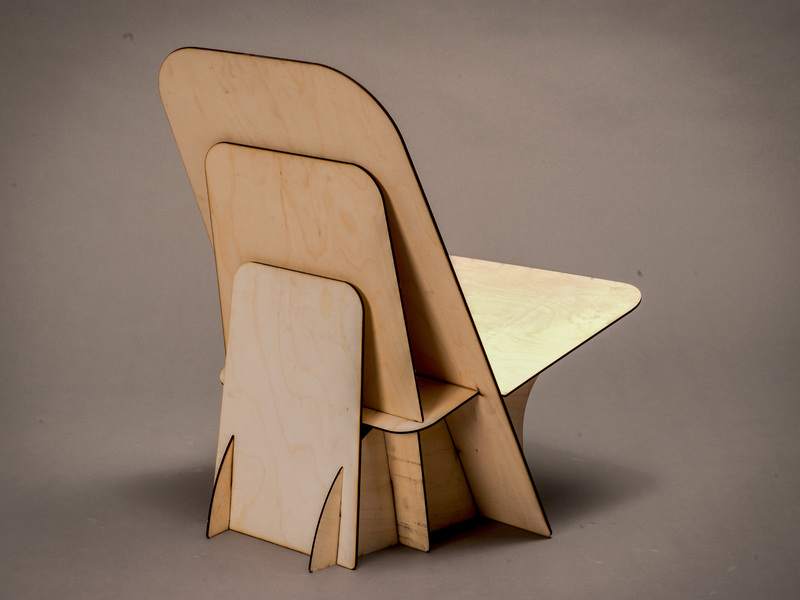 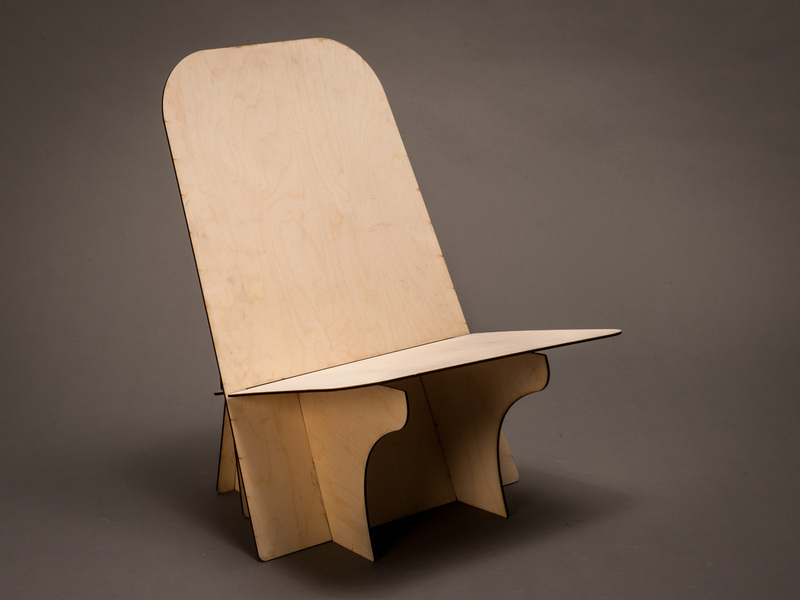 The assignment of this school project, was to make a laser cut chair made solely of 4mm plywood sheets, while striving to use as little material as possible. 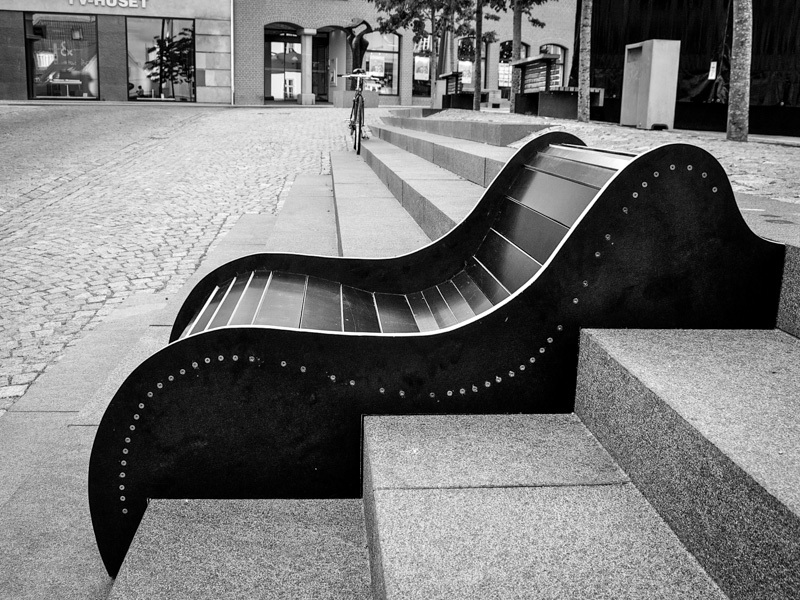 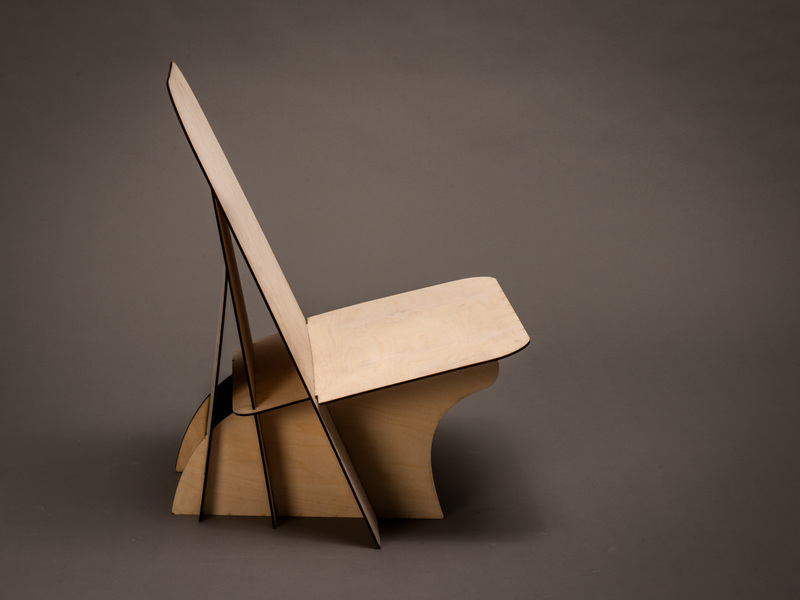 The chair should also be simple and expressive, and make use of the properties of the material. 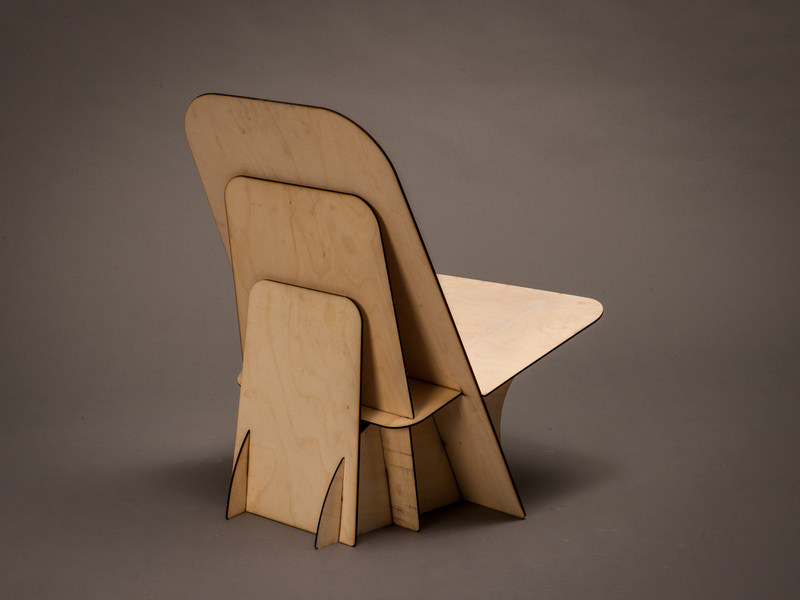 Finally the chair should be no larger than 50 x 50 x 75 cm (LxWxH). 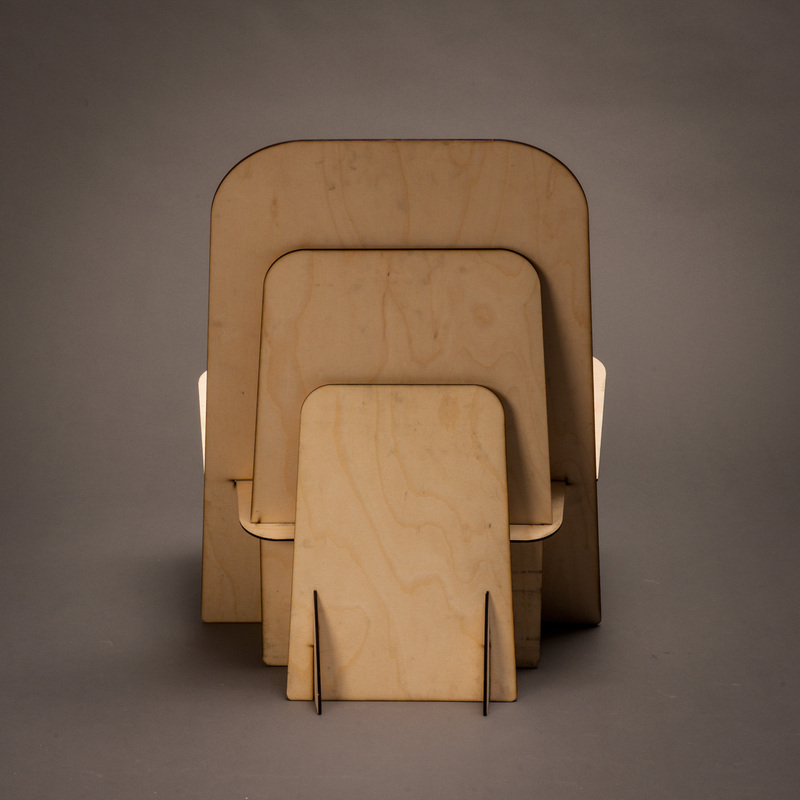 My result, The Flexie Chair, has a ‘beach chair’-like sitting position, with a flexible back, made of three sheets in a fender construction that utilises the flexible properties of the plywood. 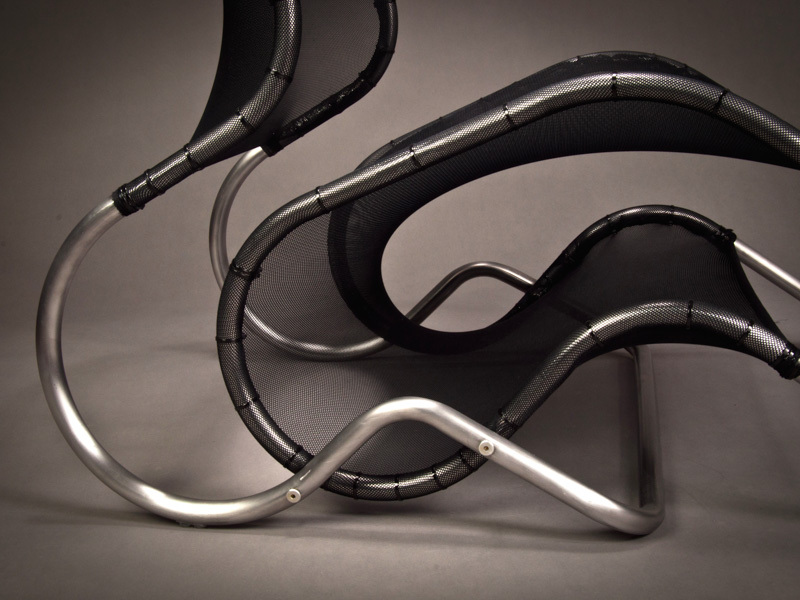 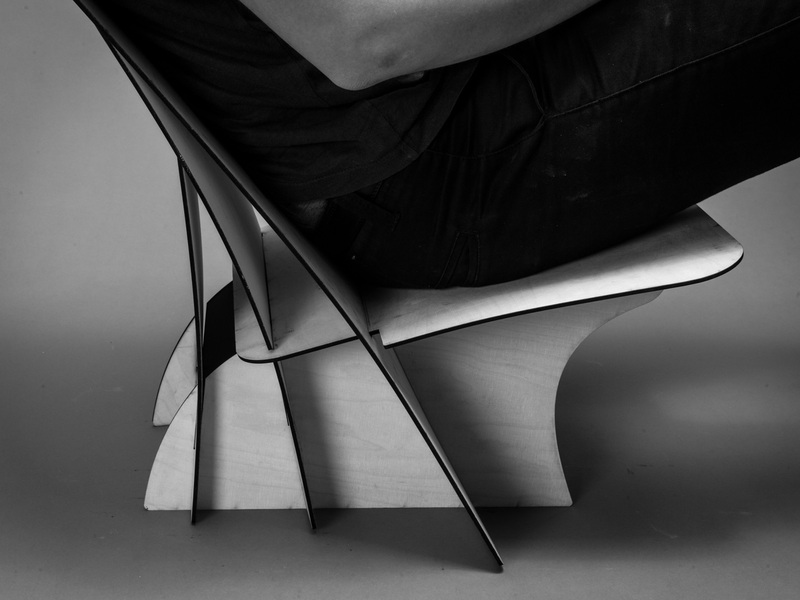 This results in an ergonomic, expressive and simplistic chair.